"In a 6-month timeframe, only 400 minutes were used on our old system. In 1 month of using Zoom, we did 127,000 meeting minutes. Zoom has saved the company thousands." "Mostly we like the fact that Zoom calls always work - no matter what. It offers several key benefits: enhanced user experience, reduced network cost, enhanced security. Zoom went above and beyond." "Zoom has jump-started our communications abilities. With it, we were able to condense multiple different platforms and technologies into one simple solution." "With Zoom, we have increased the active communication rate over traditional communication tools from approximately 10% to 29%." "We are reaching more external parties and have better internal collaboration with greater fidelity than ever before." "Zoom has reduced our travel costs by more than 70%, allowing staff from various business sites to participate in trainings, meetings and team collaborations." "By using Zoom, we are paying the same amount as before, but we're able to roll the product out to 5 times as many people." 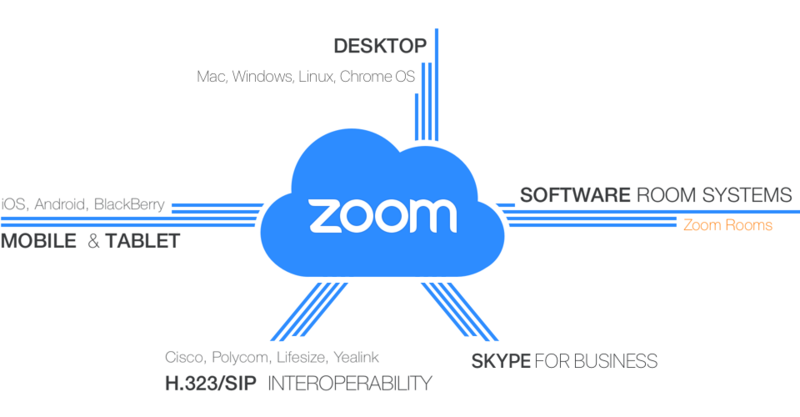 "Zoom has made communication much easier, especially when working with our remote offices." "Zoom has made it easier to connect all of our locations and train our people. Financial plan sales have gone up since using Zoom now that our advisors can meet with clients who would normally be out of our locale." "Great software at an excellent price point. Also, ongoing product development which is incredibly important." "Zoom saved our global brand over $50,000 in travel costs alone within the first month of service activation." "This easy to use, easy to deploy and easy to manage application has saved our agency time and money compared to our old video conferencing solution." "We freaking love this product. We have been able to work together remotely on edit revisions in a way that could revolutionize our business. Having an East coast and West coast production office feels much more doable now. Zoom works." "I can only say 'hats off' - you have cracked a problem that the world's largest tech companies have not been able to sort out during a good 17 years of trying." Per Roman | GP Bullhound Ltd.